Harness the power of flow chemistry to deliver more compounds faster! 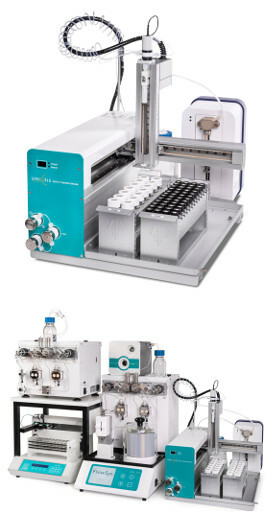 FlowSyn Automated Loop Filling (FlowSyn Auto-LF) is a powerful and highly efficient module for running multiple experiments with multiple reagent inputs under different sets of conditions. The clever simultaneous loop filling and fraction collection saves valuable time, while the integrated wash steps prevent cross-contamination. Interactive displays of pressure and temperature on PC allow real-time reaction monitoring as well as data logging.